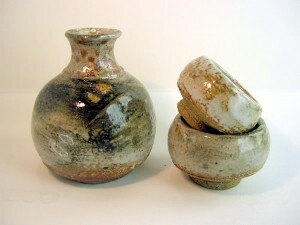 I love working with heavily grogged stoneware bodies which result in warm, rich glazes. 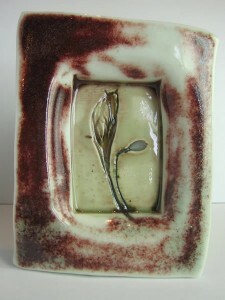 I have moved forward to high-fired reduction firings, exploring the classic Shino, Celadon and Tenmoku glazes in particular. I am drawn to certain shapes and forms and continue to make them in a (probably endless) search for that elusive sense of “rightness” in an object. 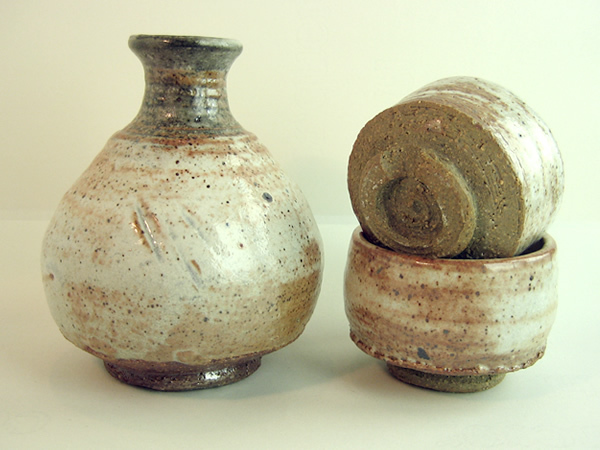 At the moment I am having a lot of fun using traditional wood-fired packing techniques in my little kiln such as tumble stacking and using wadding and shells. This has some lovely effects such as causing a pleasing distortion of some clay bodies, local reduction and warm flashing marks on the pots and this all adds to the feeling of the immediacy of the flame and gives a richness to the glaze surfaces. Recent stoneware pots, click on the photos below to see a larger images. I want to capture a sense of place and time in these pieces, and the images I use have an element of personal and sentimental captured moments for me. I also want them to embody my pleasure in the act of making them, and the element of chance is important in allowing the work to keep evolving. I am drawn to glazes that accentuate the subtlety of the surface, the fact that the faintest mark can be recorded in the clay or glaze surface. This has led to me working with porcelain and blending my own clay bodies to achieve different effects with the glazes that I use. 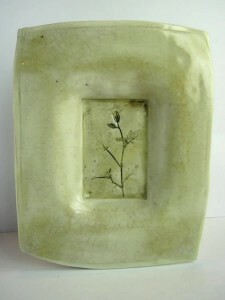 Clay is textured, torn, marked and reassembled to make surfaces that glazes can pool in and break against. Recent plates, click on the photos below to see a larger images. The devastation of people’s lives in Japan by the earthquake and tsunami is almost impossible to take in. Having visited Mashiko a couple of times it has also been very sad to see and read what has happened to the potters lives in that community. Euan Craig’s blog is a heart wrenching account of his personal experience of this disaster. 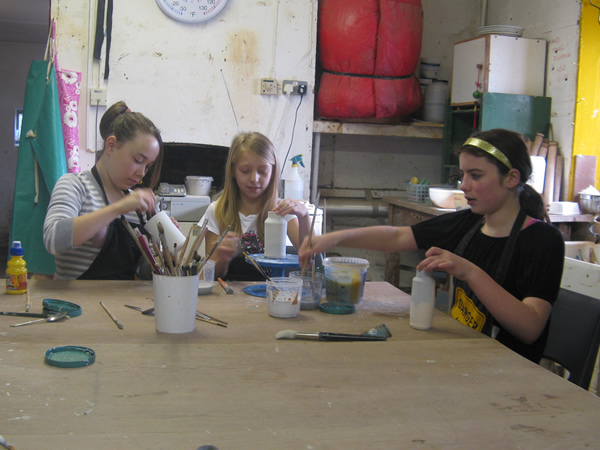 One day childrens Raku workshop organised by Charnwood Museum’s Artzone art club.